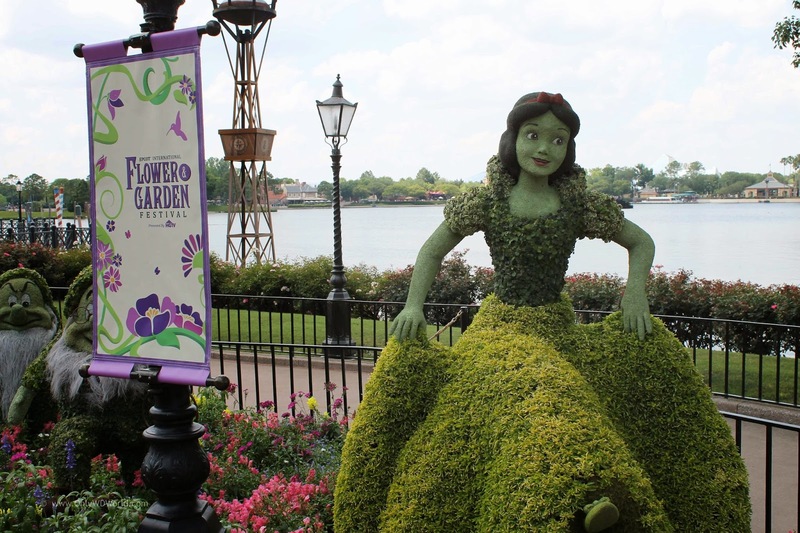 The 22nd Epcot International Flower & Garden Festival returns during 2015 for 75 dazzling days from March 4 through May 17! 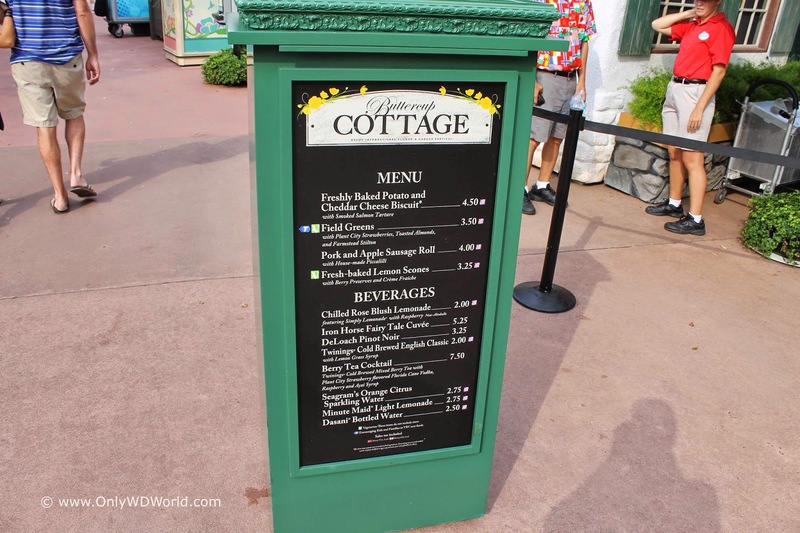 This Disney World fan favorite brings flowers, gardens, topiaries, guest gardeners & speakers, outdoor music concerts, and Outdoor Kitchens featuring great food & drink to Epcot. The Epcot International Flower & Garden Festival is FREE with your paid admission to Epcot and most of the activities are included. 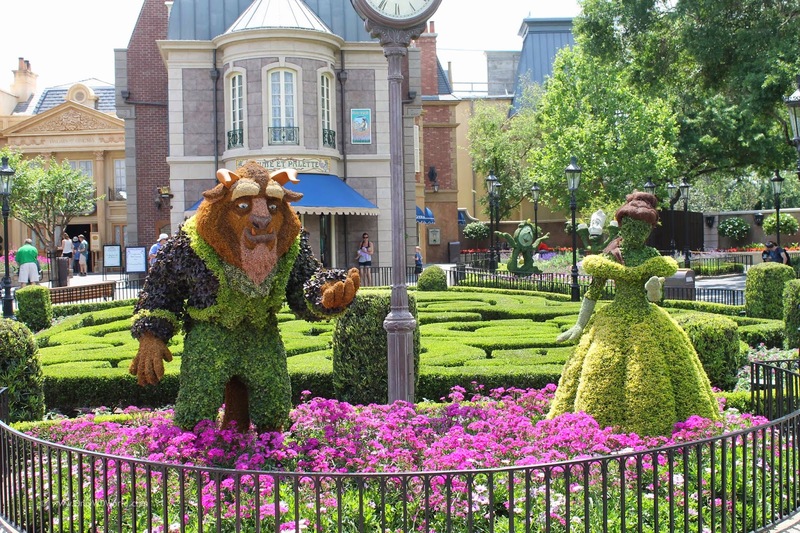 One of the highlights of each Flower & Garden Festival is the amazing array of Disney Characters portrayed in topiary form. 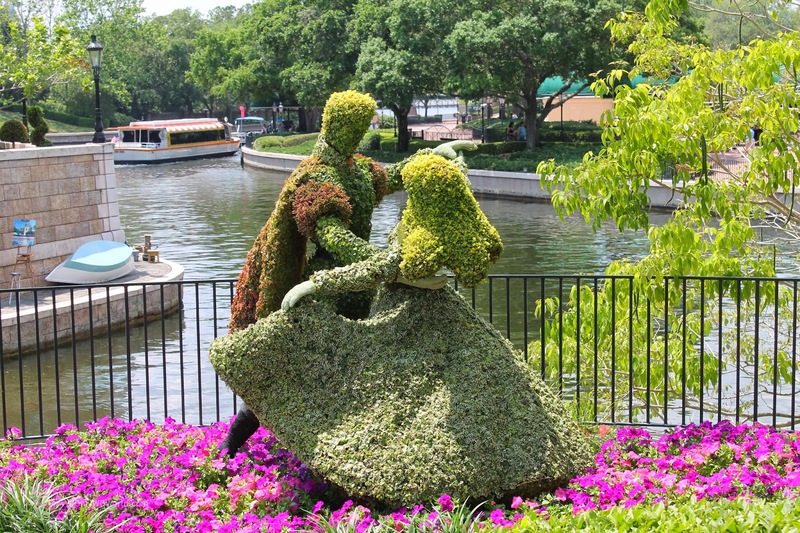 From Mickey Mouse to Cinderella, many of your favorites can been seen in spectacular live fashion. 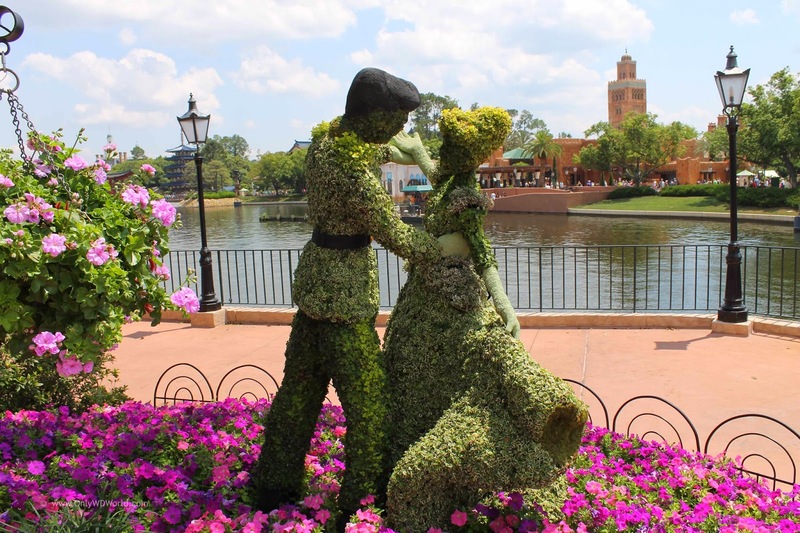 The princess topiaries are often the favorites of the Disney World crowds, but it is hard to choose between Cinderella, Aurora, Belle, or Snow White to decide on a favorite. 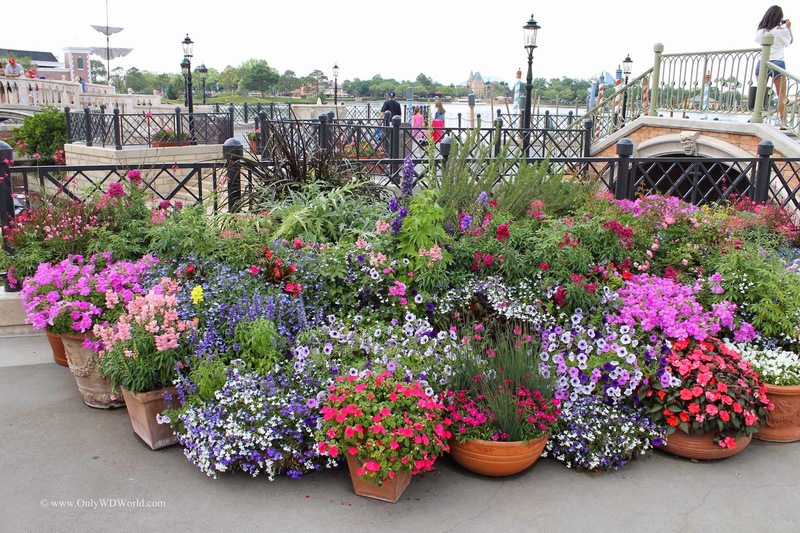 The Disney World Horticultural Staff outdoes themselves each year, by planting countless flowers and gardens that provide millions of blooms during the 75 day event. The hardest part is trying to decide which of the presentations is your favorite. Whether you are a fan of container gardens or colorful beds of flowers, there are certainly a multitude of displays for you to enjoy. 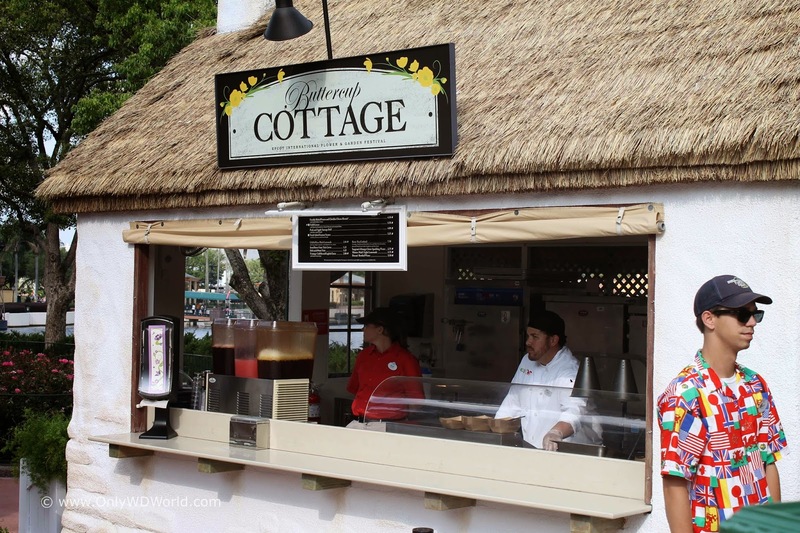 Stealing a page from the always popular Epcot International Food & Wine Festival, the Flow & Garden Festival has found its way to provide unique food & beverage offerings through a series of Outdoor Kitchens that are placed throughout Epcot's World Showcase. 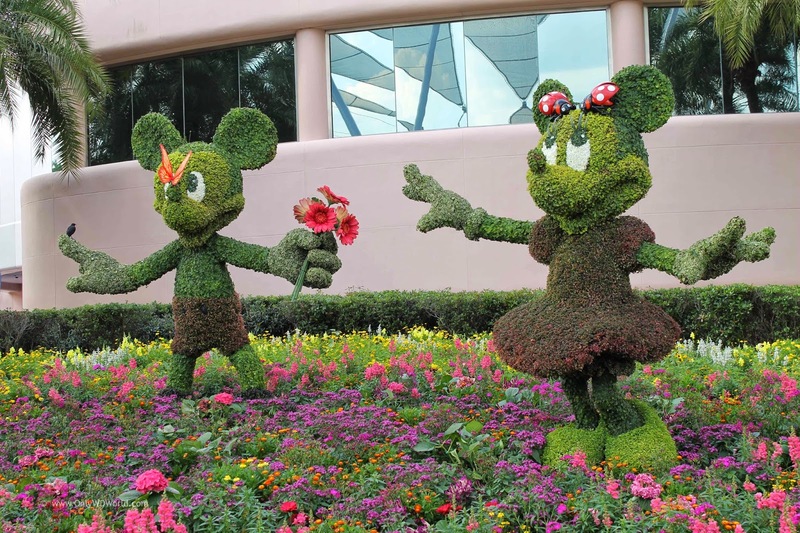 The Epcot Flower & Garden Festival gives you a great excuse to schedule a Spring vacation to Disney World in Florida. This is one Disney Special Event that you do not want to miss! 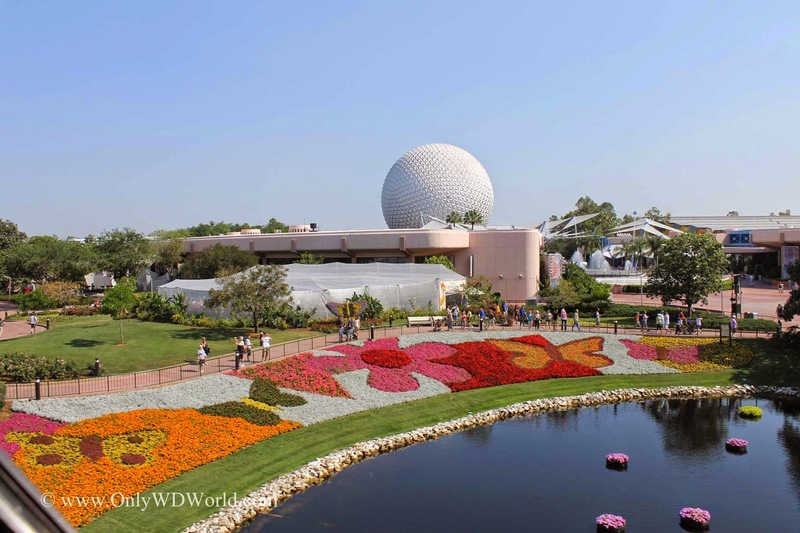 0 comments to "Epcot International Flower & Garden Festival Returns for 2015 - March 4 - May 17"